Adding a rain sensor to your automated irrigation system saves even more money and conserves water. 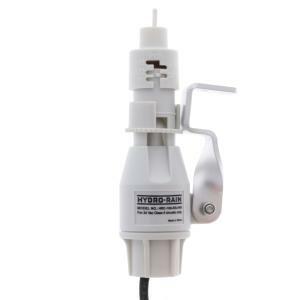 Hydro-Rain’s HRC 100 hardwire rain sensor is designed to turn off sprinkler systems during rainy or freezing weather. The HRC 100 is easy to install and will provide years of reliable operation. Constructed of heavy-duty, UV-protected ABS. Includes easy to install aluminum mounting bracket, and heavy-jacketed copper wire. The only major brand in the industry with the thermostat feature standard on every hardwire rain sensor. HRC 100 is compatible with most brands of 24 VAC controllers.